Motivation plays a key role in achieving more and better athletic performance. When you become bigger, stronger and more experienced, you discover it harder for further progress, particularly without proper mental attitude and motivation. 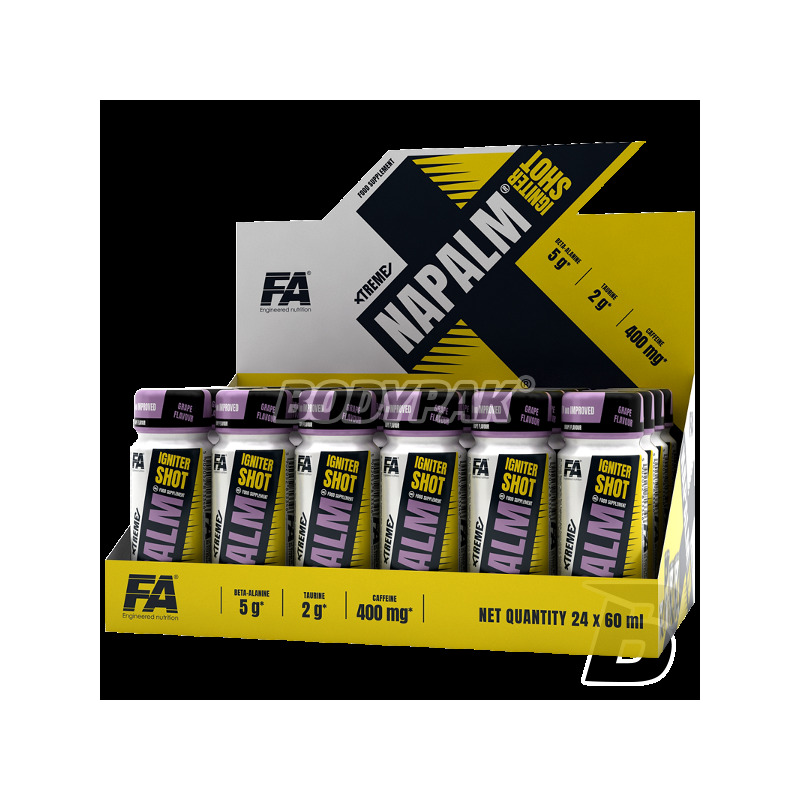 That is why the series has been designed Xtreme Napalm®. 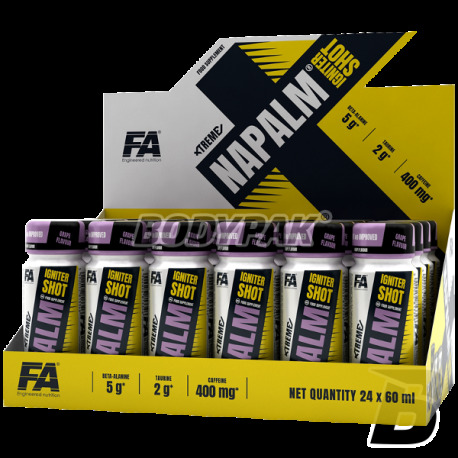 Dietary supplement XTREME Napalm® Igniter Shot in a liquid formulation is dedicated to people leading an active lifestyle, especially recommended prior to the exercise, which requires increased motivation and concentration. The active ingredients of the product: the patented beta-alanine that is CarnoSyn®, caffeine, taurine, glucuronolactone, which support the body during periods of increased mental and physical performance, increase strength, the ability to maximize concentration and reaction speed. Powerful active ingredients supplemented with additional PeptoPro®, which enhances and intensifies its synergistic effect. All that were closed in the easier-to-swallow liquid form. The rate of absorption of all the ingredients is clearly larger than in the case of tablets or capsules. This means much faster action. Note the unique and refreshing lemon flavor. In combination with a comfortable, small packaging, which is even in your pocket, it makes use of this preparation is a pleasure and comfort.